Albany, NY (November 13, 2018) – A man was reported to have passed away after being restrained by medical staff at Albany Medical Center Wednesday night, November 7, has been identified as 45-year-old Sean Purvis. The incident originally began at around 7:40 p.m. that Wednesday when police received a call about an intoxicated man who was harassing people near Swinburne Park. A woman goes to the emergency room complaining of chest pain. The doctor orders an x-ray that reveals a two-centimeter mass in her right lung. The doctor not only fails to warn the woman of these unsettling findings, but fails to acknowledge, address or pursue identifying the irregularity at all. Two years later the woman returns to the emergency room complaining of a chronic cough. Another x-ray is ordered, revealing the two-centimeter mass has now spread to both her lungs, liver, brain and spine. The doctors give her six months to live. Lavern Wilkinson was a mother to a child with autism and mental illness who died of lung cancer at the young age of 41. Instead of prolonging her life, the doctors at Lavern’s hospital essentially signed her death sentence by failing to diagnose and treat her cancer for over two years. What started as a readily discernible and highly treatable disease evolved into terminal cancer – preying on stolen time and fateful oversight. One would hope justice would be provided for the medical malpractice that caused a parent’s child to be left alone in the world tragically prematurely. They would be wrong. Until now. Under the law at the time, Lavern’s daughter and family were not afforded a fighting chance to hold those accountable for the blatant negligence that resulted in her untimely death. The law, as it was written, protected the negligent hospital by barring any claims brought against it within two and a half years of the misdiagnosis. Because Lavern was not properly diagnosed until after this deadline, she was not only robbed of the opportunity to live and watch her daughter grow up, but was also deprived of any form of justice. In order to fix this injustice in the law, the New York State legislature passed Lavern’s Law. Three weeks ago, it was announced Governor Cuomo officially signed the bill. Lavern’s Law amends the law by allowing a person who has been misdiagnosed with cancer to file a lawsuit up to two and a half years after they find out that a mistake was made. So, while the legal system proved unrelenting in Lavern’s case, it will be forever changed by it. At Hach & Rose, LLP we are committed to being the voice for those who suffer injustices. The picture below is of Halina Radchenko, an attorney at our law firm, proudly supporting the passing of Lavern’s Law at the New York Women’s March with her son, Anthony, by her side (which was only a matter of days before Governor Cumo signed the bill). Halina, along with the entire staff at Hach & Rose, LLP, do not believe advocating for what is right is a job, but a way of life that must always be embraced. To learn more about Lavern’s Law and other important cases affecting individuals in New York city and the greater New York area, read more on our Must Know Info page or call us at Hach & Rose, LLP. New Video FAQ: What should I do if a loved one is injured during transport? The New York City personal injury attorneys of Hach & Rose, LLP, have released a new video FAQ outlining the responsibilities of ambulances and ambulettes. Medical vehicles have a duty to ensure the safe transport of patients. If you or someone you know was hurt during transport to a medical facility, contact the New York city personal injury lawyers of Hach & Rose, LLP at (212) 779-0057 to learn what your legal options may be. A 44-year-old New York resident, Martin LaPoint, lost his life in February of this year while in the emergency room at the University of Vermont Medical Center. The family has recently filed a medical malpractice lawsuit with the Burlington Federal Court. According to The Burlington Free Press, the family claims that UVM Medical Center’s staff misdiagnosed LaPoint, who visited the hospital a number of times in February to seek treatment for two extruding spinal discs. The lawsuit alleges that LaPoint died of a pulmonary embolism, or blood clots in his lungs, after hospital staff wrongly used a compression device to ease a possible blood clot in LaPoint’s legs. Bedsores, also known as pressure sores or pressure ulcers, are extremely dangerous yet common occurrences in various healthcare facilities. When immobilized patients aren’t given the proper care and attention, these sores can develop, leading to infections, skin loss, sepsis, and in the worst instances, death. Click here to read more about bedsores and healthcare negligence. An annual premium survey issued by Medical Liability Monitor in October showed that medical malpractice premiums have dropped for three bellwether specialties in New York for the seventh straight year. Physicians’ Reciprocal Insurers, a medical malpractice carrier for obstetrician/gynecologists in the New York counties of Nassau and Suffolk located east of Queens, said rates went down to $214,999 in 2014 from $227,899–a drop of almost 6%. Malpractice premiums for overall medical fields decreased on average of 1.5% for obstetrician/gynecologists, internists, and general surgeons, which is a little lower than the 1.9% drop in 2013. Specialty rates, on the other hand, declined 1.6% for internists, 1.3% for general surgeons, and 1.7% for obstetricians/gynecologists. A person greatly values his or her health, so if that health comes into risk due to an error committed by physicians or health care practitioners, it is understandable that the person would want to press legal action and demand to be compensated for his troubles. If this situation happens to you in New York, employ the legal services of our attorneys at Hach & Rose, LLP, by calling (212) 779-0057 today. In the wake of Joan River’s death in September, River’s family hired a team of lawyers to investigate the possibility of medical malpractice, according to an NBC report. River’s went in for a routine surgery on her vocal chords and died from hypoxia, meaning her brain was cut off from sufficient oxygen. Officially, River’s death was declared as resulting from a ‘therapeutic complication,’ meaning that the comedian’s death occurred due to a foreseeable risk of the surgery. River’s family plans to take legal action to investigate the possibility that her death was caused by medical malpractice, rather than a known risk. Many families struggle with the same kind of issue when their loved ones pass away after receiving medical treatment. 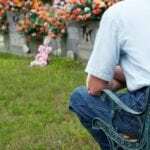 If you have lost a loved one due to medical malpractice, there are legal actions you can take to seek compensation. At Hach & Rose, LLP, in New York, our lawyers are dedicated to working for the legal rights and interests of those affected by personal injury accidents. Our lawyers are committed to helping families like yours seek the compensation they need. Call (212) 779-0057 today to speak with an experienced personal injury lawyer about your legal options.